Inviting one of our speakers will undoubtedly boost your seminar. Our speakers are experts in the field of pharmacy, which includes change-management, awareness improvement, pharmaceutical care and many other subject matters. Each e-learning program that is presented offer of multiple videos and articles. The courses are set up in such a way that it makes learning practical and exciting. There is a good variety of videos and articles to keep the participant’s full attention throughout the whole course. At Pharmacy Total Group we are all about sharing knowledge with our fellow pharmacists to help them achieve their business goals. We believe in the phrase ‘Knowledge is Power’ and therefore aim to inspire colleagues to learn all there is to know about how to adapt their business to improve growth. Helping us doing so are countless specialists from within the pharmaceutical industry as well as other industries. We provide a wide range of products and services. 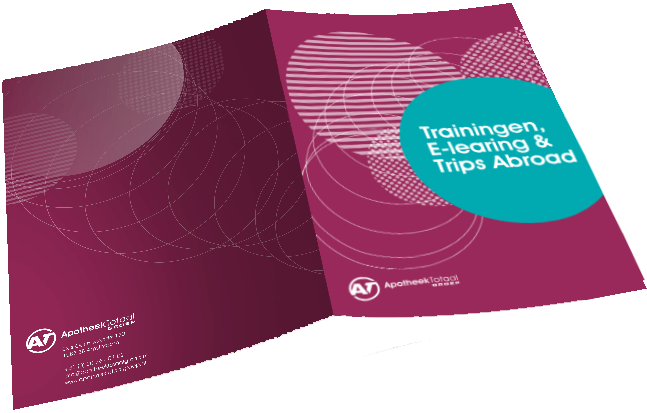 From seminars to books and from workshops to trips abroad. All inspired with one common theme in mind, to make your pharmacy the best it can be. By exchanging information and learning from each other in and outside the pharmacy-industry your business will be easier to manage and grow to its full potential. Each e-learning program that is presented offer of multiple videos and articles. The courses are set up in such a way that it makes learning practical and exciting. 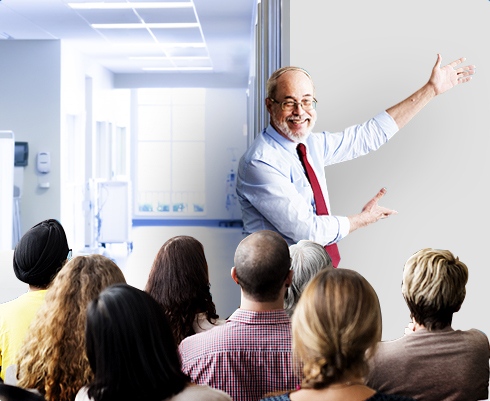 We offer an extensive variety of different courses and keynote speakers for your seminars that cover every aspect of your business, and more. We invite teams from other countries to come over to the Netherlands and visit Dutch hospitals and pharmacies. Don’t know where to start? We can organise it for you! “The pharmacist as a pharmaceutical specialist”. A book written by Peter Felen. Peter is a specialist in transforming pharmacies. He set up and developed a pharmacy chain and assists pharmacists worldwide in improving their qualities and business results. 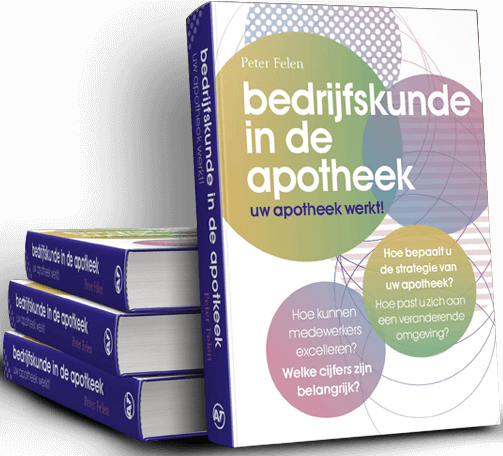 He has written several books, but decided to write this one specifically for pharmacists abroad. It is possible, if required, to have the book accustomed to your country. The book covers a broad spectrum of topics, under which, Communication with patients and Ethics in working in the pharmacy. It also comprises of two special bonus chapters for the community pharmacist, Selling OTC and increase quality, and A five-year plan. The rest of the book consist of more industry insides that Peter has gained over the years. It offers exclusive information about what pharmaceutical care is in the section: “Introduction pharmaceutical care, what is it?” and it covers “Professional context of the pharmacist”. The book also contains an overview of the core values of a pharmacy in the segment: “The pharmacists’ knowledge domain and core values”.